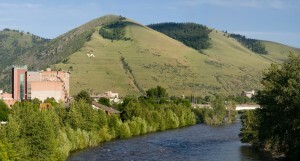 Whether you are a first-time homebuyer or a seasoned homeowner, there are many items to consider when buying a home in Missoula. Making sure these things are completed thoroughly will help to make the purchasing process a smooth one. Buying a home is not only a financial decision, but an emotional one as well. It is important to stay well apprised of local trends and market conditions. One of the best ways to do this is to talk to people who know. This list could include public officials, lenders, realtors, inspectors, appraisers, friends and acquaintances. It is also important to create a network of individuals who will work together on your behalf to get the job done. Trust, personal connection and knowledge are all important in choosing the people you want to work with. Buying a home is a smart way to create financial stability, and the Missoula real estate market has performed very well, both in the current economic environment and historically over the long term. Can any Missoula realtor show me any house I want to see? Or do I need to contact the agent who has the home listed to make an appointment to view? Generally speaking, a Missoula real estate agent can show you any of the homes you want to see that are listed on the Multiple Listing Service (“MLS”). In fact, it is encouraged that you set up a relationship with a real estate agent and work with them to see all the homes you are interested in, thus avoiding any confusion as to who a client is working with on a potential purchase. There are some times that an agent may need to ask for special permission to show (such as if the home is a home being sold by the owner (and not on MLS), or if the home is being marketed on an MLS to which the agent is not a member). All of these items are easily worked through, but communication is key in letting your agent, and the listing agent, know your intentions on who you wish to work with. What is the difference between a prequalification letter and a preapproval letter from a lender? Are they required to make an offer on a property? A prequalification letter is issued when you have met with a lender and they have discussed the price you can afford based on your monthly income and debts and cash available for a down payment. At this point, a lender does not actually check records and does not require any documentation. A preapproval letter is more complete, in that the lender will have verified your credit and income before the letter is issued. Some properties may require that any buyer have the proper qualification prior to showing or writing an offer, so it is good to have these ready to present when you find the right house. For obvious reasons, a preapproval letter is looked at a little more favorably than a prequalification letter, but a prequalification is better to have than nothing at all. How much does it cost me to have a real estate agent represent me in purchasing a home? The commission paid to both the listing agent and the buyer’s agent is paid by the seller. Essentially, the seller agrees to a commission percentage with their listing agent at the time that they list the property (this is usually approximately 6%). The listing agent then offers a portion of that to the buyer’s agent in the MLS listing, as an incentive to sell the property. There is no commission that is paid by the Buyer. There may be some situations where this varies a bit (such as when a home is for sale directly from a seller and they may not agree to a commission, etc. ), but differing arrangements would be at the approval of all parties involved. How much are closing costs? What if I don’t have enough money for a down-payment and closing costs? Closing costs are the fees associated with the purchase of a home. These fees consist of things like lender origination fees (varies by lender and loan type), closing fees for the title company (generally approximately $250), escrow account deposit (monies being deposited into an account to pay taxes and insurance), appraisal fee (a property valuation required by the lender – amount depends on many things, but generally between $500-$700), flood plain certification fees (generally pretty inexpensive, but required so that lender knows whether flood insurance is needed or not). This list is not exhaustive, but gives you an idea what kinds of things are involved. Sometimes a seller is willing to help with some of these costs with an offer. For example, an offer might be written at a certain amount, but then you could ask that the seller credit you back at closing in a certain amount to cover some, or all, of the closing costs. Depending upon the situation, it may or may not be accepted, but it is a common request in offers.